You play Tourality based on Game Sets. 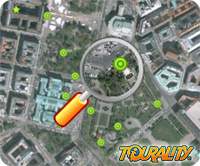 These are created automatically by Tourality or by manually by users. Choose country and area to search for Game Sets. By activating further criteria you can narrow down the result. Choose a country and an area to search for Game Sets.